Scarlet Begonia (aka Scarlet) is named after her dad’s favorite Grateful Dead song. 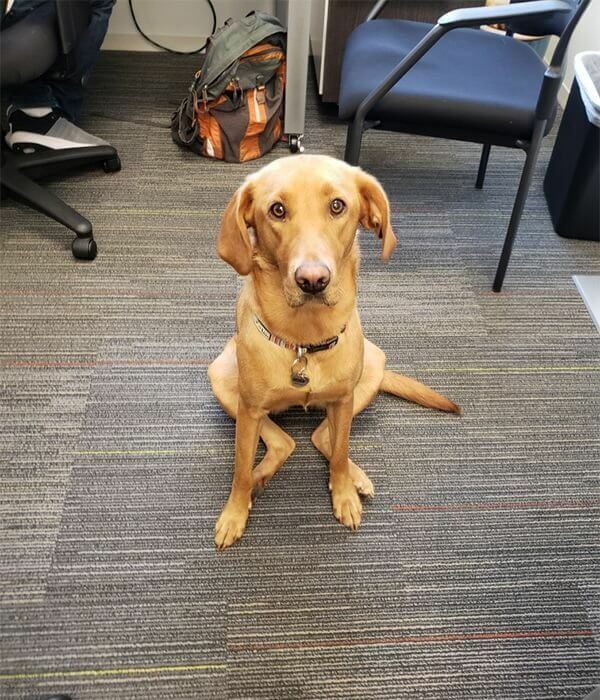 This Red Fox Labrador began her life in the hills of Tennessee before moving to California to embark upon her illustrious career as family dog and Moxie Mascot. Scarlet has never met a body of water that she doesn’t like and enjoys lounging on white couch cushions, eating gross things from around the yard, and chewing up teeny-tiny Lego men. On most days, Scarlet resides under Gregg’s desk at Moxie’s headquarters and makes an excellent foot warmer.